As my Marine and I approach our 15 year wedding anniversary, I have been thinking a lot about what I would want the 18 year old me when I said “I do” not only to my Marine but to the Marine Corps. Here are my thoughts. The day is finally here! After months and months apart, you finally get to marry your prince charming! You are off on an exciting new adventure and will grow up fast. You will quickly make new friends that will become part of your extended family. You find yourself homesick and second guess your decision to leave your small town life behind. In an instant you will figure out how to run a household and be the rock of your marriage. You will spend many lonely nights as your Marine trains for a deployment, and will second guess your strength. You will pull from within and discover strength you never imagined you had. You will be come a young mother and learn to a raise a child 2,000 miles from the closest relative. You will quickly understand how to be both mom and dad. You will learn to balance going to school, managing a household, and raising a son without skipping a beat. You will leave the Marine Corps and quickly miss the lifestyle you have come to know. You will miss your friends who were also young parents and became your family. Your friends at home will not understand what you have been through and you will struggle to find people who understand you. It will take a toll on your marriage and you will work together to remember why you fell in love. Your marriage will be stronger then you ever imagined it could be. You will become a Marine Corps reservist spouse and actively make new friends and remember the lifestyle you had longed so much for. You will support your husband after he is called to war. Raising a 3 year old and going through a pregnancy will test your limits. You will have a baby with your husband at war and will be thankful for the gift God has give you. You will cry knowing that God is watching over him and thanking him for sparing your Marine as the fallen Marine could as easily been him. You will look forward to the day when your Marine will meet his son for the first time. Suddenly a family of 4 you will feel at peace. You will again learn what it means to be mom and dad to two young boys. Spending many nights alone and wondering how you would get through two more deployments. You will long for the day when the deployments are no more and the war is over. There will come a day when you strive to find your place in the world. 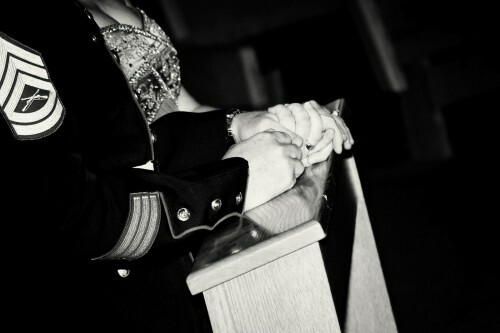 You will feel as if you have sacrificed so much so your husband can be the best Marine he can be. You will feel horrible for feeling selfish. You will branch out and try a new career, all while your husband picks up the pieces at home. Realizing you made a mistake, your Marine will support you and love you. He will encourage you to be strong and to make the next move. You will again find happiness in what you do, but realize that there is something missing from your family. God will grant you another special blessing. Looking forward to being a family of five in your new home, the call will quickly come again. Your Marine will shed tears in disappointment and will be sad to leave. You quickly become his rock and the strength of your family. You will thank God that he has given you the opportunity to share the special blessing with your Marine, that the two of you so greatly missed before. He will form a bond with the third child, like no other. He will encourage the older boys to be strong and helpful. You will do the best you can as a Mom to three boys. You again will put your career on hold, so that you can focus on having a strong family. Many blessings will come your way and you will get your chance to both support your Marine, find the career you were called to do, and raise 3 wonderful boys. It won’t be easy, but with prayer, good friends and family, and a positive outlook, you will get through it. Remember, it is all worth it and someday you will have your happily ever after. Jen is the busy mom to three boys ages 1,9, and 12. 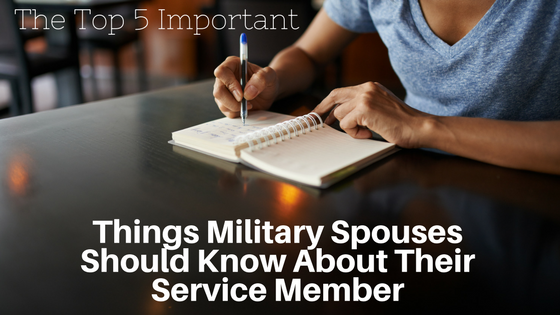 She is the proud wife to a Marine GySgt and has been very active as a military spouse. She is currently going through her 6th deployment. Jen has a passion in working with military families and writes about her daily life at her blog Beyond the Cammies. Jen loves to spend time with her boys, read, connect with other military spouses, and play with her three dogs. You can follow Jen by going to her blogwww.BeyondTheCammies.com . This is very nice! I love it! Thanx for posting! So special. And yes I can totally relate!